Minnesota Vikings tickets and travel packages are now on sale with PRIMESPORT, the Official Fan Travel Partner of the Minnesota Vikings. Take your Vikings pride to the next level during the 2019 season with an Official Vikings Fan Package from PRIMESPORT. 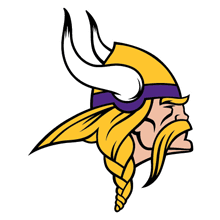 Get the latest Minnesota Vikings offers! Looking for Super Bowl Ticket Packages? The big game is heading to Miami, and as a division of On Location Experiences, we're pleased to be your connection to Super Bowl LIV. Our exclusive VIP Super Bowl experiences are designed with years of industry knowledge behind them, offering a wide variety of Super Bowl ticket locations, unique pre-game parties, choice MIami hotel accommodations, on-field access, with celebrity appearances and much more. The Minnesota Vikings have once again teamed up with PRIMESPORT to provide an official pregame hospitality experience for those fans looking for a little more than just Vikings tickets. Official Vikings ticket packages include tickets to any home game on the 2019 Vikings schedule as well as access to pregame hospitality at Club PRIMESPORT with tailgate buffet food and limited open bar. Circle up with fellow Minnesota Vikings fans before your head over to U.S. Bank Stadium to watch another Vikings victory! PRIMESPORT is the Official Fan Travel Partner of the Minnesota Vikings. The terms NFL® and Super Bowl® are trademarks of the National Football League. PRIMESPORT is a division of On Location Experiences.